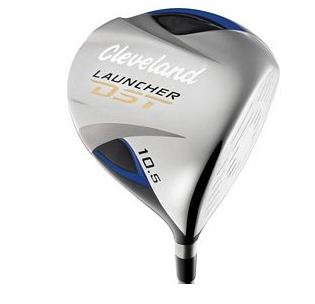 The Cleveland Launcher DST Driver is one of the lightest drivers on the PGA Tour, allowing you to maximize your swing speed to provide exciting new distances from the tee and boasts intuitive technology to minimize mis-hits and allow higher C.O.R. Featuring Ultralite Sub 300g Technology and longer shafts (45.75”), this driver weighs in at 25 grams lighter than standard drivers, with a faster clubhead speed to boost a player’s distance by as much as 3-10 yards past their opponents. For the occasions when ball connection isn’t as true as desired, this driver features MaxCor Face Technology producing a higher trampoline effect for improved ball speed and distance through variable face thickness. 9 grams of weight has been removed from the face and repositioned low and deep in the clubhead creating a deeper centre of gravity for higher MOI and straight drives. Valitse: 10.5° Driver RH Wht Shaft Reg. Tuotteen lisäyspäivä: maanantaina 04 heinäkuuta 2011.